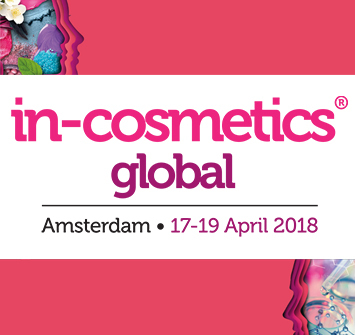 We gladly announce that BioSpectrum, Inc. will attend in-cosmetics global 2018 in Amsterdam from April 17th to 19th. In-cosmetics Global is world-leading event for personal care ingredients and the exhibition brings together up to 800 international exhibitors with up to 9,000 manufacturers all around the world. This exhibition provides the biggest chance to catch up the global trends and cutting-edge technology in personal care industry. In this year’s exhibition, we will share the booth with our strategic partner, Clariant Active Ingredient unit. Please visit us and do not miss the chance to meet our superior active ingredients and the Nobel Prize-inspired new ingredient, B-Circadin.